SelfBuild Show City West – An Event Not to be Missed! The Dublin SelfBuild Show comes to the Citywest Hotel on the 9-11 September 2016. The Artificial Grass Company are once again proud sponsors of the Garden Zone. Our latest range of artificial grasses will be on display – come an visit our stand in the Garden Zone. Featuring pioneering C-Yarn technology our grasses provide the perfect solution for low-maintenance gardens that will remain looking good for years to come. The perfect family garden transformed by the Artificial Grass Company. Our artificial grasses are pet friendly, UV stablised, guaranteed for eight years and are suitable for practically anywhere. They are suitable for high traffic areas and are ideal for gardens where drainage is an issue. Come along and chat to our team for advice on how you can transform your outdoor space. We will be selling our popular Artificial Grass Cleaner at a special show price of €30.00. Artificial Grass Cleaner is suitable for all types of artificial grass. 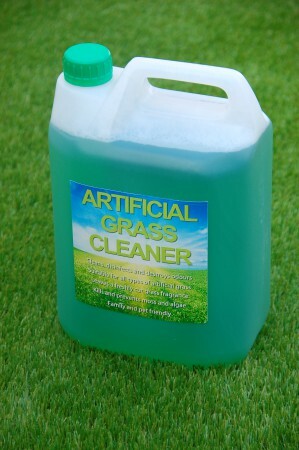 Our Artificial Grass Cleaner disinfects and destroys odours, leaving a freshly cut grass smell. 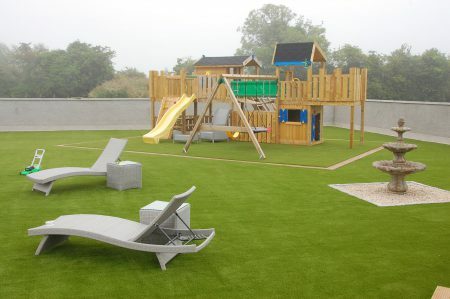 It is family and pet friendly and is suitable for all types of artificial grass. City West Dublin plays host to the 2016 SelfBuild & Improve Your Home Show with Garden Zone partners, the Artificial Grass Company. Over 40,000 visitors attend all the shows each year to get ideas, inspiration and advice. Packed with over 150 high quality exhibitors, the SelfBuild & Improve Your Home Show will give you ideas to create your dream home. Doors open each day at 10.00am. Click on link below for more details and tickets.